For the next installment in our Live Trax series, we have selected one of the standout shows of the early 2013 Summer Tour. On June 1, 2013, the band brought a flawless and especially unique show to the Blossom Music Center in Cuyahoga Falls, Ohio. Highlighted by a mix of newer songs and classics with several performances unique to the tour, it contains the first rebranded performance of Kill the Preacher (improvised in 2012 as an introduction to Why I Am) as well as the first ever performance of the Some Devil song Oh at a full band show. The show opens with the classic Dancing Nancies - Warehouse combination - a first in over 15 years. What follows are songs recently returned to the rotation, such as the Idea of You (after its 2012 hiatus) and the setlist rarity Captain, as well as older fan favorites such as Say Goodbye, a late set Big Eyed Fish - Bartender combination and an extended Recently. 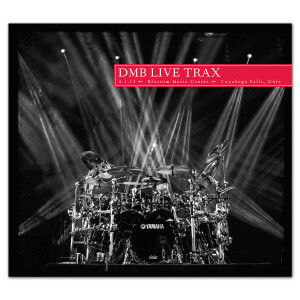 Live Trax 29 is the first live show in the series to feature songs from the Away From the World album, released in 2012. As such, this release includes the debuts of Gaucho, Belly Belly Nice and Rooftop, all in their road-ready forms. 5. Anyone Seen the Bridge?